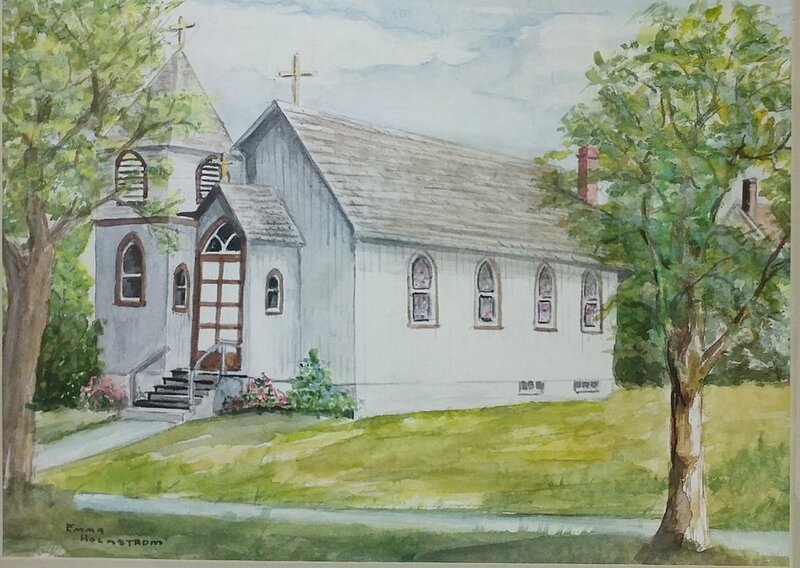 The roots of Holy Trinity extend as far back as 1886, but it wasn’t until October of 1910 that a church – known as All Saints — was constructed on the grounds that now houses Holy Trinity. 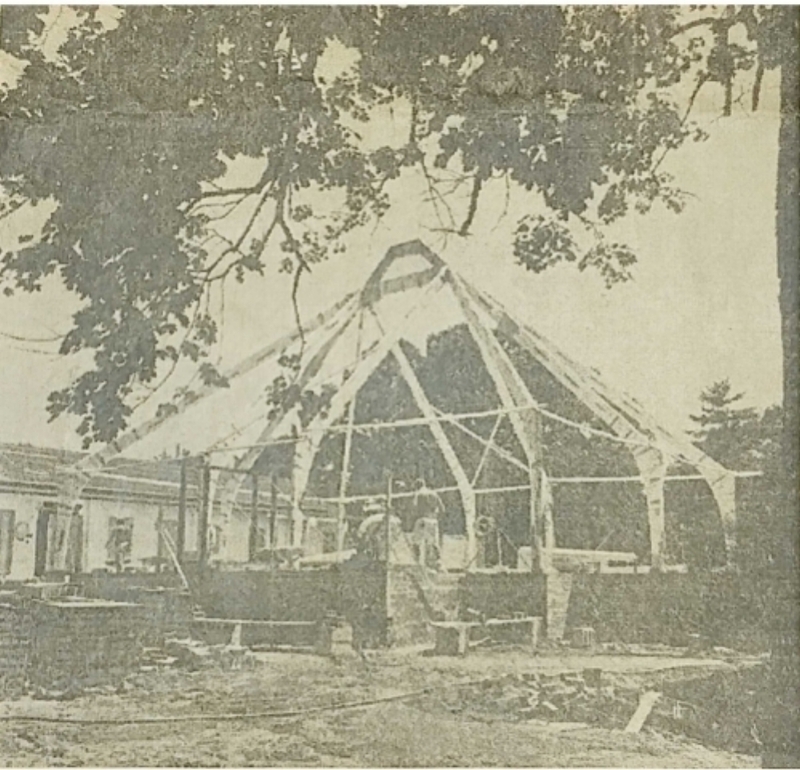 Services had originally been held in homes and in the Wenonah Inn until a standard sized lot was purchased in March of 1910. Construction of the modest 20-by-40-foot church building was completed in three months. Over time, additional lots were purchased for parking and for the construction of Sunday School facilities. All Saints continued to hold services until it was razed in 1977 to make room for a larger facility. At the time, two other Episcopal missions — St. Barnabas in Mantua and St. Peter's in Woodbury-Heights — joined with All Saints in Wenonah to form the new, Holy Trinity Episcopal Church. The new church was built on the site of All Saints, then facing Monroe Avenue, and was attached to an existing parish hall, which serves today as the church school, parish hall and administrative offices. Stained glass and other furnishings from the previous churches were incorporated into the structure of Holy Trinity, to blend the old with the new. Each of the churches, including the current Holy Trinity, operated as a mission within the Diocese of New Jersey. As the new congregation grew, Holy Trinity petitioned the Diocese of New Jersey for full Parish status in 1997. After completing three years process, beginning in 1995, Holy Trinity was successfully classified as an independent Parish in March of 1998. At the Diocesan Convention in Atlantic City, a packed Convention Center audience gave a standing ovation to some 30 Holy Trinity representatives who marched in carrying the church banner. Today, Holy Trinity is a diverse and vibrant congregation with an active membership that supports a variety of ministries, both within the church and in the wider community. While the church is in Wenonah, members are drawn from many surrounding communities and as far away as Philadelphia.